Ariana Grande stands by her ex-fiancé, Pete Davidson. In celebrity news, Grande is sending celebrity ex Davidson good vibes after bullies recently took aim at him. The singer took to her Instagram to defend the comedian after he spoke about being bullied post break-up. “I know you already know this, but I feel I need to remind my fans to please be gentler with others. I really don’t endorse anything but forgiveness and positivity. I care deeply about Pete and his health. I’m asking you to please be gentler with others, even on the internet,” Grande wrote. A day earlier, Davidson called out Instagram bullies for bashing him since he started dating Grande. “I just want you guys to know. No matter how hard the internet or anyone tries to make me kill myself. I won’t. I’m upset I even have to say this. 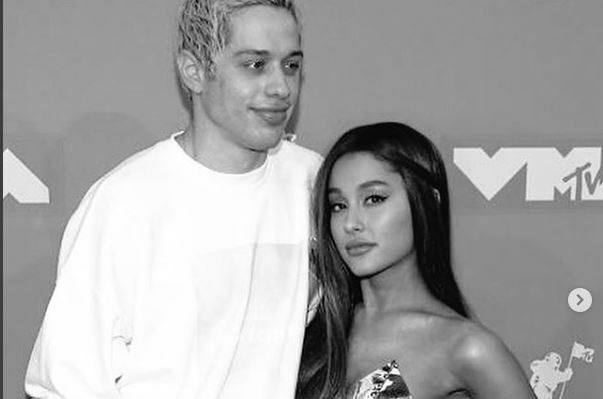 To all those holding me down and seeing this for what it is-I see you and I love you.” Grande called off her engagement to Davidson in October. A source recently told UsMagazine.com that the actor was dating again. In celebrity news, Ariana Grande is defending her ex Pete Davidson. What are some ways to keep the fall-out from your past relationship civil?? 1. It’s okay to still love each other: Your relationship may be over, but that doesn’t mean the love disappears. Love is a beautiful and painful thing, and it is a gift. Part of growing up is recognizing that love by itself isn’t always enough to make a relationship work. Breaking off a relationship that isn’t working isn’t about ending the love you feel. Sometimes loving someone means letting them go for your happiness and for theirs. 2. Keep the conversation simple: If you have to talk to your ex, keep it civil and simple. Avoiding an ex is impossible; after all, it is a small world. So, keep the conversation as light as possible, and try not to bring any baggage to this conversation. Greet them! Ask them how they are doing. Laugh, joke and be open-minded and friendly. Above all else, keep things moving. 3. Remember your boundaries: There’s a difference from knowing someone casually and knowing them intimately and at times the line blurs. There will be a point when your ex jumps back into the dating game and you’ll wonder if he or she thinks of you. You have to remember things are different now. When a relationship ends, you can’t expect to treat your ex the same way because the role you have in his/or her life now is completely different. What are some ways to keep the fall-out from your past relationship civil? Share your thoughts below.